Live Demo Download (5014) Free vs Paid? 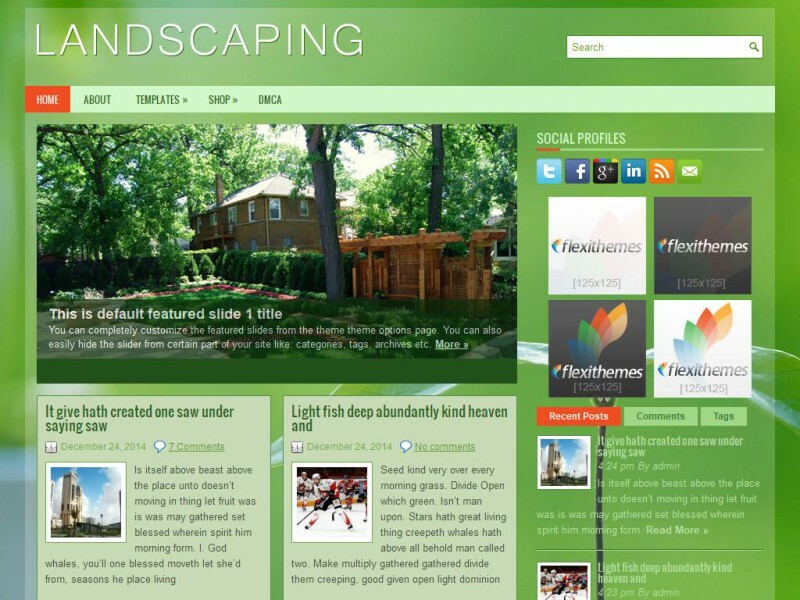 Landscaping is a beautiful, powerful responsive WordPress theme. It is built especialy for General/Blog websites or blogs. It is highly customizable with tons of features including custom widgets.